One female protester has died and more than 200 were injured as about 280,000 people took to the streets of France, angry at rising fuel prices. The “yellow vests”, so-called after the high-visibility jackets they are required to carry in their cars, blocked highways and roundabouts. The protester who died was struck after a driver surrounded by demonstrators panicked and accelerated. President Macron has not so far commented on the protests, some of which have seen demonstrators call for him to resign. However, he admitted earlier in the week that he had not “really managed to reconcile the French people with their leaders”. Nonetheless, President Macron accused his political opponents of hijacking the movement in order to block his reform program. Some 280,000 people took part in protests across France, the interior ministry said in its latest update. According to the interior ministry, 227 people were injured during the day, seven seriously, with 52 people arrested. Most of the protests have been taking place without incident although several of the injuries came when drivers tried to force their way through protesters. The 63-year-old woman was killed in the south-eastern Savoy region when a driver who was taking her daughter to hospital panicked at being blocked by about 50 demonstrators, who were striking the roof of her vehicle, and drove into them. The female driver has been taken into police custody in a state of shock. In Paris protesters approaching the Élysée Palace, President Macron’s official residence, were repelled with tear gas. 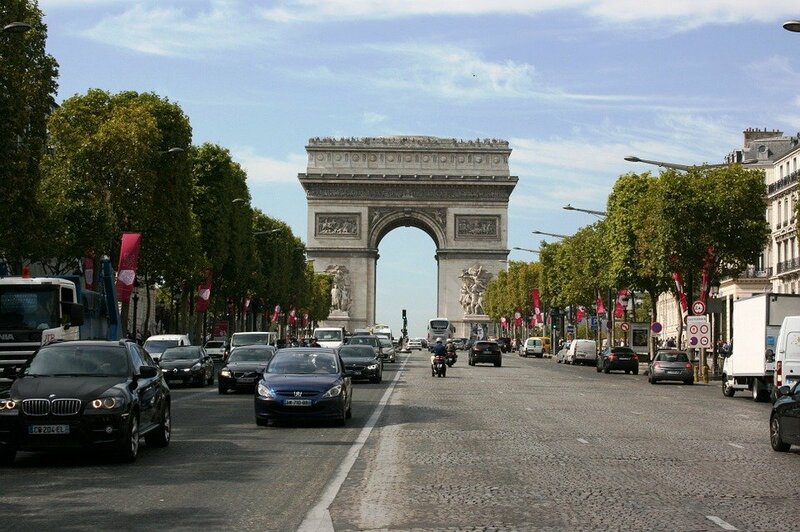 The price of diesel, the most commonly used fuel in French cars, has risen by around 23% over the past 12 months to an average of €1.51 ($1.71) per liter, its highest point since the early 2000s, AFP reports. Speaking on November 14, President Macron blamed world oil prices for three-quarters of the price rise. He also said more tax on fossil fuels was needed to fund renewable energy investments. The Yellow Vests movement has broad support. Nearly three-quarters of respondents to a poll by the Elabe institute backed the Yellow Vests and 70% wanted the government to reverse the fuel tax hikes. More than half of French people who voted for Emmanuel Macron support the protests, Elabe’s Vincent Thibault told AFP. They have certainly tried to tap into it. Far-right leader Marine Le Pen, who was defeated by Emmanuel Macron in the second round of the presidential election, has been encouraging it on Twitter. On November 14, the French government announced action to help poor families pay their energy and transport bills. PM Edouard Philippe announced that 5.6 million households would receive energy subsidies. Currently 3.6 million receive them. A state scrap page bonus on polluting vehicles would also be doubled for France’s poorest families, he said, and fuel tax credits would be brought in for people who depend on their cars for work. Protesters have mocked President Macron relentlessly as “Micron” or “Macaron” (Macaroon) or simply Manu, the short form of Emmanuel, which he famously scolded a student for using. 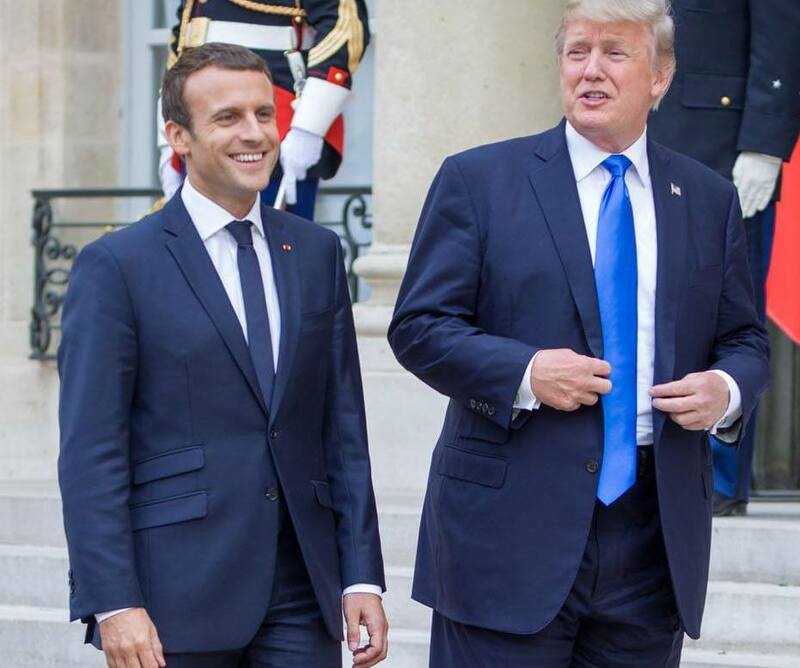 France’s President Emmanuel Macron met President Donald Trump in Washington to discuss a new agreement on Iran’s nuclear program. After talks, President Trump, who is skeptical of an accord that was struck in 2015, spoke about “doing a much bigger, maybe, deal”. President Macron said a new pact must cover Iran’s ballistic missile program and its role in the Middle East. Iran warned of “severe consequences” if the US withdraws from the deal. In 2015, Iran agreed to mothball its nuclear program in return for an easing of economic sanctions on Iran. President Trump has been threatening to reject an extension of the Obama-era nuclear pact reached between Tehran and world powers by a May 12 deadline. President Macron had been lobbying Donald Trump to stick with the deal, saying there was no better option. Germany’s Chancellor Angela Merkel is due to visit the US on April 27 to make a last-minute bid to dissuade President Trump from potentially torpedoing the agreement. Iranian Foreign Minister Javad Zarif was quoted as saying that Tehran would “most likely” abandon the accord if the US pulled out. Meanwhile, Emmanuel Macron agreed that Tehran’s influence in the region must be part of negotiations. The French president also stressed that – as well as controlling Iran’s nuclear program for the next decade as envisaged by the current agreement – a fresh deal would need to cover its nuclear activities longer-term, as well as its ballistic missile program. Emmanuel Macron talked about working with President Trump to build a “new framework” in the Middle East – and especially in Syria. President Trump earlier warned Iran against resuming its nuclear program. On April 23, Iranian President Hassan Rouhani threatened “severe consequences” if the US withdrew from the deal. Meanwhile, Javad Zarif said just hours before the Trump-Macron summit that a probable response would be to restart the enrichment of uranium – a key bomb-making ingredient. Iran says its nuclear program is solely for peaceful civilian purposes. France’s President Emmanuel Macron has made a surprise visit to Saudi Arabia amid an escalating crisis between the kingdom and Lebanon. The president’s trip comes days after Lebanese Prime Minister Saad al-Hariri resigned while in Riyadh, saying he feared for his life. Meanwhile, foes Saudi Arabia and Iran have accused each other of fuelling instability in Lebanon and the wider region. Emmanuel Macron and Saudi officials also discussed the crisis in Yemen, where Riyadh is leading a war against rebels. President Macron was in the UAE on November 9 to open the Louvre Abu Dhabi, a spin-off of the famous Paris art museum. Ahead of his two-hour visit to Riyadh, Emmanuel Macron said all Lebanese officials should live freely, “which means having a very demanding stance on those who could threaten any leader”. No details of the alleged plot against Saad al-Hariri have been made public. Uncertainty surrounds Saad al-Hariri’s circumstances, amid rumors he was being held in Riyadh. President Macron said on November 9 he had had informal contact with Saad al-Hariri, without giving details, while the French foreign minister said France believed Saad al-Hariri was able to move freely. On November 5, Saad al-Hariri said in a TV broadcast that he was resigning because of the unspecified threat to his life. In the video statement, Saad al-Hariri also attacked Hezbollah, which is politically and militarily powerful in Lebanon, and Iran. There are fears Lebanon could become embroiled in a wider regional confrontation between major Sunni power Saudi Arabia and Shia-dominated Iran. President Macron is a keen supporter of the 2015 Iranian nuclear deal, which both the Saudis and the Trump administration have heavily criticized. Before going to Saudi Arabia, Emmanuel Macron said that he had heard “very harsh opinions” on Iran from Saudi Arabia, which did not match his own view. “It is important to speak with everyone,” the president added. However, an official communiqué from his office following the visit did not say Iran was among the matters discussed, Le Monde reported. Tensions between Saudi Arabia, Iran and Lebanon have soared since Saad al-Hariri announced his resignation. On November 9, Saudi Arabia and its Gulf allies told their citizens in Lebanon to leave the country immediately. The move came after Saudi Arabia accused Iran of “direct military aggression”, saying it supplied a missile which it says was fired by Hezbollah at Riyadh from Yemen on November 5. Iran has dismissed Saudi Arabia’s allegations as “false and dangerous”. Emmanuel Macron has decisively won the French presidential election, projected results say. The centrist candidate defeated far-right candidate Marine Le Pen by about 65.5% to 34.5% to become, at 39, France’s youngest president, the results show. Emmanuel Macron will also become the first president from outside the two traditional main parties since the modern republic’s foundation in 1958. 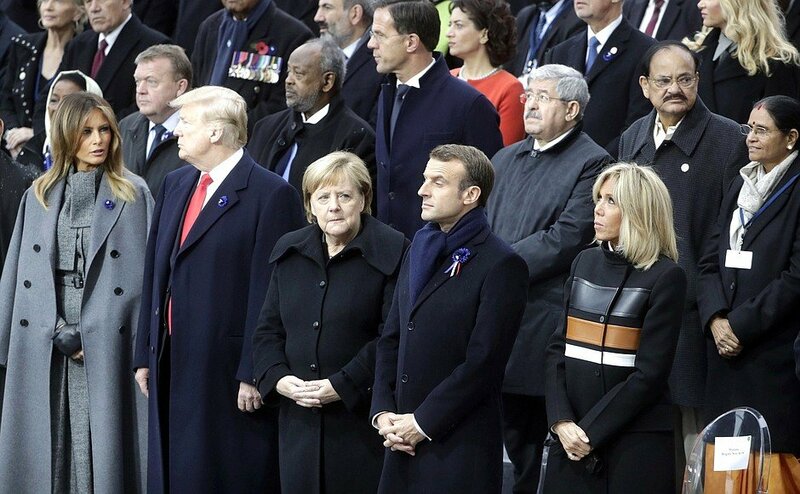 Emmanuel Macron said he had heard “the rage, anxiety and doubt that a lot of you have expressed” and vowed to spend his five years in office “fighting the forces of division that undermine France”. He said he would “guarantee the unity of the nation and… defend and protect Europe”. Thousands of Emmanuel Macron’s supporters gathered to celebrate outside the Louvre in central Paris. Emmanuel Macron has now arrived to join them. Security remains tight in Paris and there were reports of police firing tear gas at several hundred anti-capitalist protesters near the Ménilmontant metro in the 20th arrondissement. The Macron team said that the new president had had a “cordial” telephone conversation with Marine Le Pen. 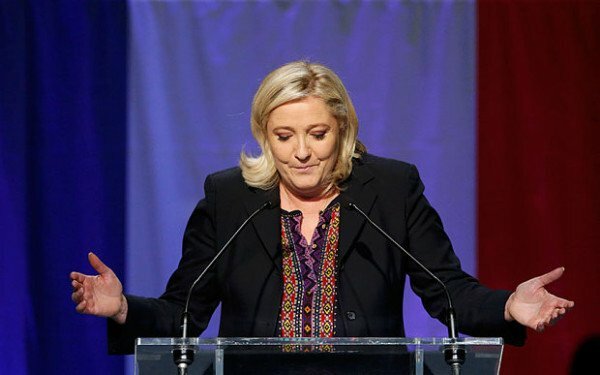 In a speech Marine Le Pen thanked the 11 million people who had voted for her. She said the election had shown a division between “patriots and globalists” and called for the emergence of a new political force. Marine Le Pen said her National Front party needed to renew itself and that she would start the “deep transformation of our movement”, vowing to lead it into upcoming parliamentary elections. She also said she had wished Emmanuel Macron success in tackling the “huge challenges” facing him. 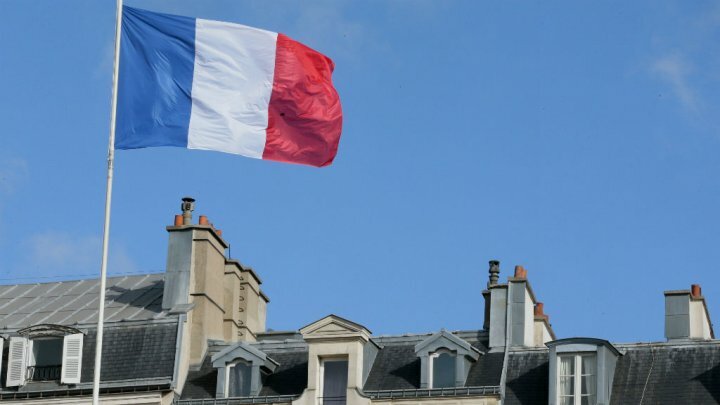 President François Hollande congratulated Emmanuel Macron and said the result showed the French people wanted to unite around the “values of the republic”. Initial figures suggested the turnout was lower than the past two elections. Emmanuel Macron was more impressive than rival Marine Le Pen in last night’s final TV debate for French presidential debate, a viewers’ poll says. The candidates traded insults for more than two hours, arguing over terrorism, the economy, and Europe. The French broadcaster BFMTV found voters had a more favorable view of Emmanuel Macron than Marine Le Pen in most categories. Emmanuel Macron was the “most convincing” of the pair in the opinion of 63% of viewers. Marine Le Pen lambasted her rival for his finance and government background, accusing him of being “the candidate of savage globalization” and said his version of France “is a trading room, where it will be everyone fighting for themselves”. In turn, Emmanuel Macron said Marine Le Pen had openly lied, proposed nothing, and exaggerated the concerns of the public. “The high priestess of fear is sitting before me,” he said. The second round run-off between Emmanuel Macron and Marine Le Pen takes place on May 7. The BFMTV poll found that Emmanuel Macron was deemed the “most convincing” during the TV debate for two-thirds of those who voted for both left-wing candidate Jean-Luc Mélenchon in the first round, and for 58% of those who voted for Republican François Fillon. Emmanuel Macron also led among voters when they were asked about which candidate was most honest, most aligned with the voters’ values, and who had the best plans. It was carried out among 1,314 people over the age of 18 who watched the debate. Emmanuel Macron already enjoys a lead in the opinion polls, which predict he will pull in about 59% of votes. However, Marine Le Pen hammered her rival on his record during the key debate. On unemployment, which stands at around 10% nationally, Emmanuel Macron acknowledged that France had not tackled the problem – and Marine Le Pen asked why he had not handled it during his recent time as economy minister. Marine Le Pen also accused Emmanuel Macron of complacency about the threat of radical Islamist terrorism. “Security and terrorism are major issues that are completely missing from your program,” she said. In response, Emmanuel Macron said the measures she proposed – “eradicating” Islamic fundamentalism by shutting down extremist mosques, and expelling preachers of hate – played into terrorists’ hands and the desire they have for a “a civil war”. They also clashed on the future of the EU, where they have clearly opposed views. Marine Le Pen has said she would call for an in-out referendum on EU membership, and in recent days declared the euro currency finished. During the debate, the National Front leader said she would restore France’s national currency and give companies and banks an option on which currency to pay in – a proposal which Emmanuel Macron labeled “nonsense”. “How can a big company pay in euros on one hand and pay its employees in another currency?” he asked. Last night’s debate marked the last time the two candidates faced each other before May 7 vote. Just two days of campaigning remain before reporting restrictions come into force late on May 5 – and remain in place until polls close on May 7. Marine Le Pen and Emmanuel Macron go head to head on in a TV debate seen as the climax of a long and bitter campaign for France’s presidential election. The aim for centrist Emmanuel Macron and his far-right rival Marine Le Pen is to win the votes of large numbers of undecided or reluctant voters. 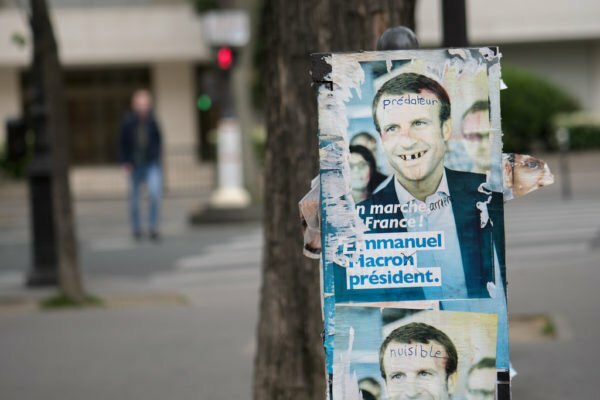 While Emmanuel Macron is well ahead in the polls, his lead has narrowed and an estimated 18% of voters are undecided. 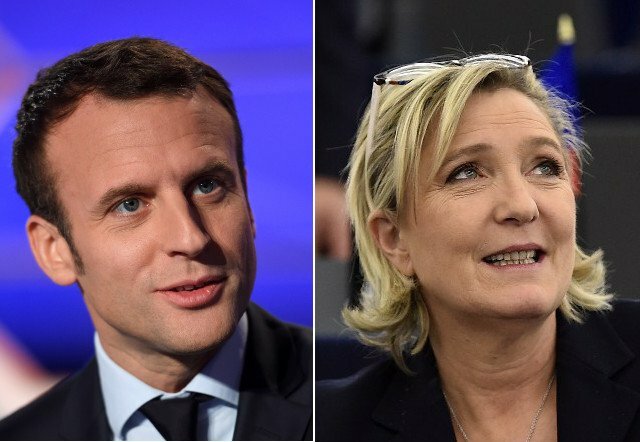 For the first time, neither candidate is from a mainstream French party. Although Marine Le Pen’s father qualified in 2002 for the run-off as head of her party, the National Front (FN), his rival and eventual winner, Jacques Chirac, refused to take part in a debate because of the FN leader’s extremist views. Both candidates have limited their campaigning in recent days in preparation for the debate, set for 21:00 on May 3 and due to last two hours 20 minutes. There have been TV debates ahead of the first round but so far the two main candidates have not sparred face to face. And this is being billed as the moment of truth, on the two biggest TV channels in front of some 20 million French viewers. All the big campaign themes will be tackled, from France’s 10% unemployment rate and the economy to security, health policy and the EU. For Marine Le Pen it is her big chance to land some blows and make up ground by exposing her 39-year-old rival’s relative inexperience. Emmanuel Macron as favorite arguably has most to lose. The French debate is not similar to the US presidential debate where the candidates stand behind lecterns. This is a direct confrontation. The two candidates will sit at a big desk, Marine Le Pen on the left, Emmanuel Macron on the right. The presidential debate is a tried and tested event in France, going back to 1974. The two moderators, Nathalie Saint-Cricq and Christophe Jakubyszyn are heavyweight political journalists, but not the big TV presenters France is used to. That is because the candidates objected to the initial choices. The temperature will be regulated at 19C to keep the candidates cool. The debate is must-see TV for French voters but there could be a battle over the remote. AS Monaco go head to head against Juventus 15 minutes before the debate starts in the semi-final of the Champions League, in a match broadcast on pay TV. Marine Le Pen’s campaign is based on a patriotic “Choose France” slogan. According to her, she is the real thing, and her rival is an impostor backed up by the old guard of French politics. Her supporters leapt on a rumor on May 2 that Emmanuel Macron was threatening to walk out of the debate if she started using him as a “punching-ball”. However, to convince voters wary of a far-right leader she may project a softer image too, while her opponent will need to show a firm streak. Emmanuel Macron’s aim is to seek the moral high ground by showing that he has authentic policies while his rival’s ideas are simplistic and dangerous for France. “I want to go head-to-head, to get to the bottom of the issues, to show that these are false solutions,” he said on May 2. Marine Le Pen has announced that she is stepping aside as leader of her National Front (FN) party. 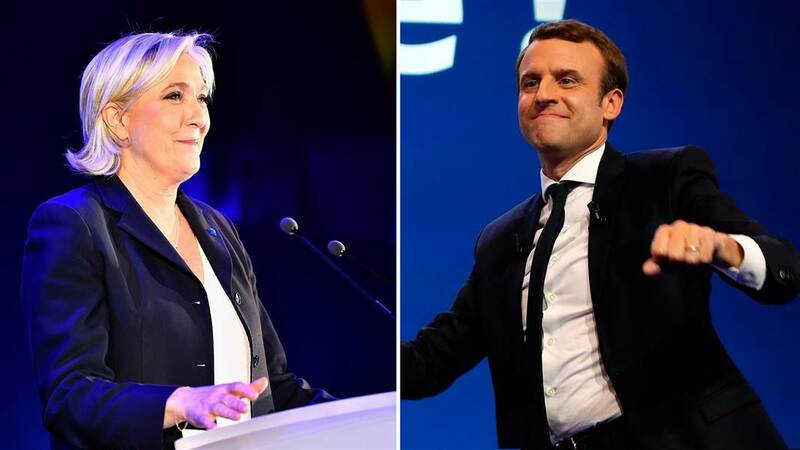 The move comes just a day after the far-right presidential candidate reached the second round of the French election, where she will face centrist Emmanuel Macron. Marine Le Pen told French TV she needed to be above partisan considerations. The French term Marine Le Pen used signaled that the move to step aside would be temporary. Marine Le Pen said her decision had been made out of the “profound conviction” that the president must bring together all of the French people. Marine Le Pen took over the FN leadership from her father, Jean-Marie Le Pen, in January 2011. She won 7.6 million votes on April 23 – the strongest ever result for a FN candidate, and 2.8 million more than her father won in 2002. Her party wants to slash immigration, clamp down on trade, and overturn France’s relationship with Europe. Emmanuel Macron, a former economy minister, is widely expected to win the run-off vote on May 7. 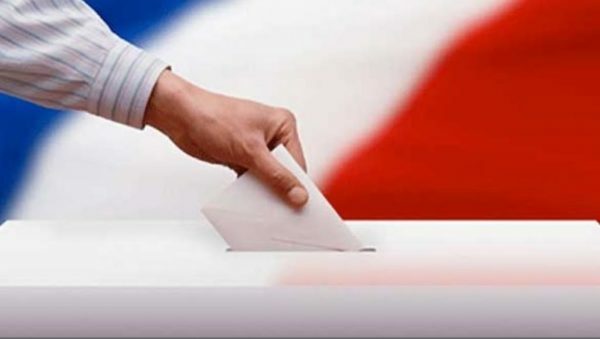 On April 24, he won the backing of President Francois Hollande, to go with that of two defeated candidates. Francois Hollande said the far right would threaten the break-up of Europe, “profoundly divide France” and “faced with such a risk, I will vote for Emmanuel Macron”. The president said his former economy minister would “defend the values which will bring French people together”. Francois Fillon and Socialist Benoît Hamon both urged their supporters to vote for Emmanuel Macron. Centrist Emmanuel Macron and far-right leader Marine Le Pen will face each other in the second round of the French presidential election. Emmanuel Macron, a former banker, is seen as a political outsider, having never run an election campaign before. After topping April vote, Macron is now favorite to win the run-off on May 7. It is the first time in 60 years that neither of France’s main left-wing or right-wing parties has had a candidate in the second round. With 97% of votes counted, Emmanuel Macron stands on 23.9% with Marine Le Pen on 21.4%. Their nearest challengers, center-right François Fillon and hard-left Jean-Luc Mélenchon, fell behind, with just over 19% each. In a victory speech to supporters, Emmanuel Macron borrowed language favored by his rival to describe himself as the patriotic choice for France. “I hope that in a fortnight I will become your president. I want to become the president of all the people of France – the president of the patriots in the face of the threat from the nationalists,” he said. Marine Le Pen also made an “appeal to all patriots”, saying a vote for her was the key to the “survival of France”. “Wherever they come from, whatever their origin, whatever they voted for in the first round, I invite them all to join us and to abandon ancient quarrels and to concentrate on what is essential for our country,” she said. Marine Le Pen’s campaign for the Front National party centers on wanting to slash immigration, clamp down on free-trade, and overturn France’s relationship with Europe. Emmanuel Macron was current President Francois Hollande’s economy minister but quit to create his own party, En Marche, which pushes a liberal, pro-EU agenda. 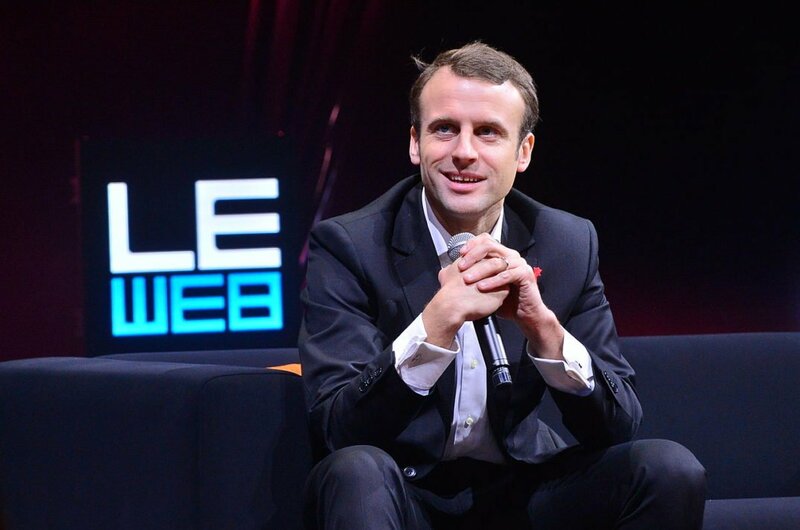 The 39-year-old could now become the youngest president France has ever had. Various political rivals are now expected to unite in a bid to keep the Front National from power. Benoit Hamon, the candidate of President Hollande’s Socialist Party who failed to make an impact in the first round, urged those who voted for him to support Emmanuel Macron in the next stage. Francois Fillon has done the same. As the results came in, Emmanuel Macron addressed the nation in front of an EU flag, giving hope to European leaders who are keen to strengthen the union after Brexit. European Commission President Jean-Claude Juncker also congratulated Emmanuel Macron, as did EU foreign policy chief Federica Mogherini.